A Victory for the Pika! 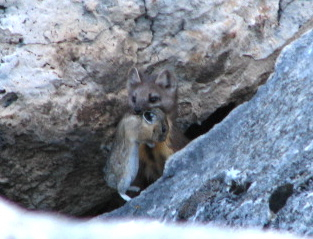 The Intrepid--And Pretty Darn Cute--Pika (Photo Courtesy Earthjustice)Hiking in the high mountains provides many rewards; one such absolute joy for me is hearing the cheerful chirping of the pika and seeing the dainty creature scurry across boulder fields. Climate change and environmental degradation, however, threaten the existence of this small animal. Last year I wrote about the plight of the pika and the attempts of the non-profits Earthjustice and the Center for Biological Diversity to place the animal on the endangered species list through ongoing lawsuits. Early this month both groups scored a victory with a settlement requiring the U.S. 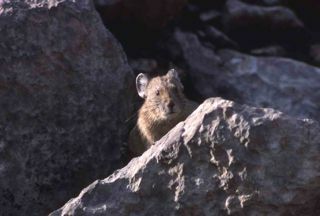 Fish and Wildlife Service to consider the pika for protection under the Endangered Species Act. 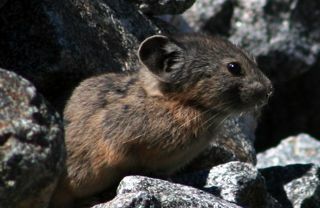 The pika now becomes the first mammal in the lower 48 to be considered for endangered species status because of the impacts of global warming. As Greg Loaris, an attorney for Earthjustice noted in a recent press release: “The pika’s shrinking habitat is a harbinger of what may happen to many species if we don’t address global warming now. With this settlement, we are hopeful that the new administration will take this issue seriously." Please consider making a donation to Earthjustice or The Center for Biological Diversity to support their important work! For more information about the pika and the settlement, visit the Center for Biological Diversity's fact sheet.